Locker Accessories | Morrison Industrial Equipment Co.
Common to all Hallowell brand products. 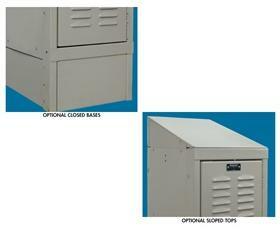 Locker Accessories for Premium Lockers and ValueMax™ Lockers including sloped tops and ends and closed bases. Available in Parchment, Hallowell Gray, Marine Blue, Maroon and Green Mist - please specify color in comments section when ordering. FOB Shipping Point. 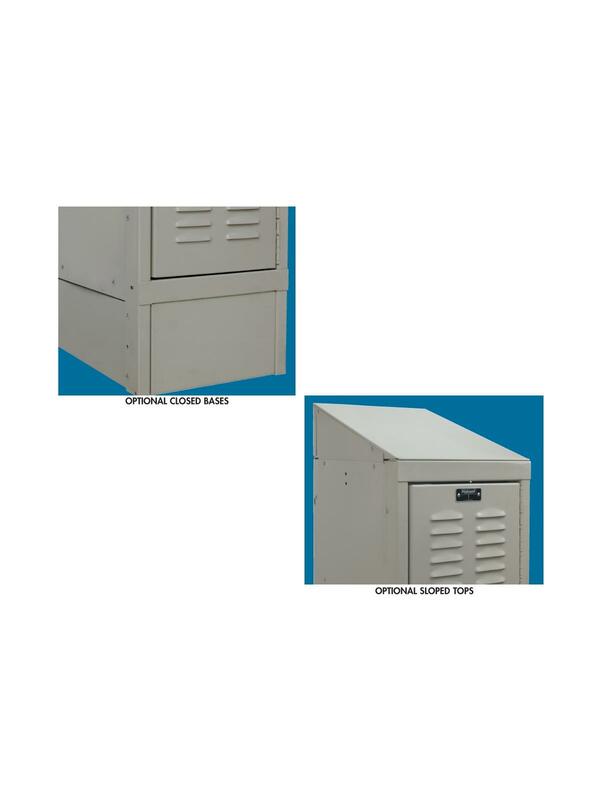 See Related Items tab for Valuemax™ Lockers and Premium Lockers. Size 12"D. 12"W. 12"W. x 12"D. 12"W. x 15"D. 12"W. x 18"D. 15"D. 18"D.